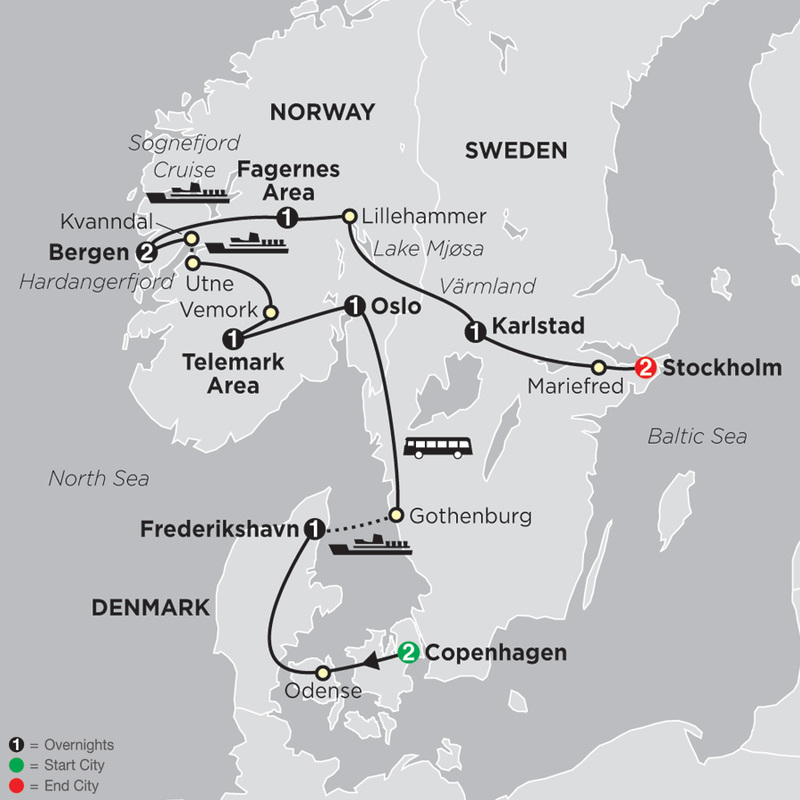 From Norway's stunning fjords to the historical palaces in St. Petersburg and from beautiful Stockholm to the charming city of Copenhagen, tours in Scandinavia, the Baltics, and Russia are like no other. On a Scandinavian and Russian tour, visit Red Square in Moscow and the Hermitage Museum in St. Petersburg; cruise on Norway's breathtaking fjords and visit its magnificent waterfalls; and cross the Arctic Circle into Finland's Lapland, home of reindeer and the midnight sun. Or be the first of your friends to explore the old cities in Estonia, Latvia, and Lithuania-at an unbeatable price. Explore Cosmos tours of Russia and Scandinavia below. Your affordable guided tour of Norway focuses on the country’s natural beauty with its glistening mountains, fjords, waterfalls, and glaciers. 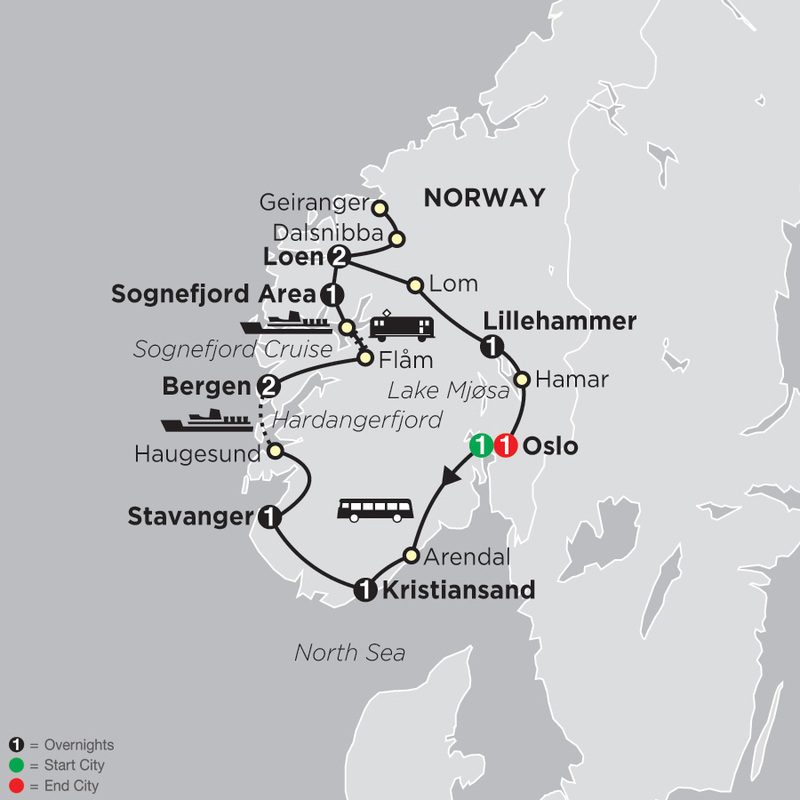 Your budget travel tour of Norway starts in Oslo and explores the idyllic Norwegian landscapes and harbor towns – rich in the folklore ...Read More. 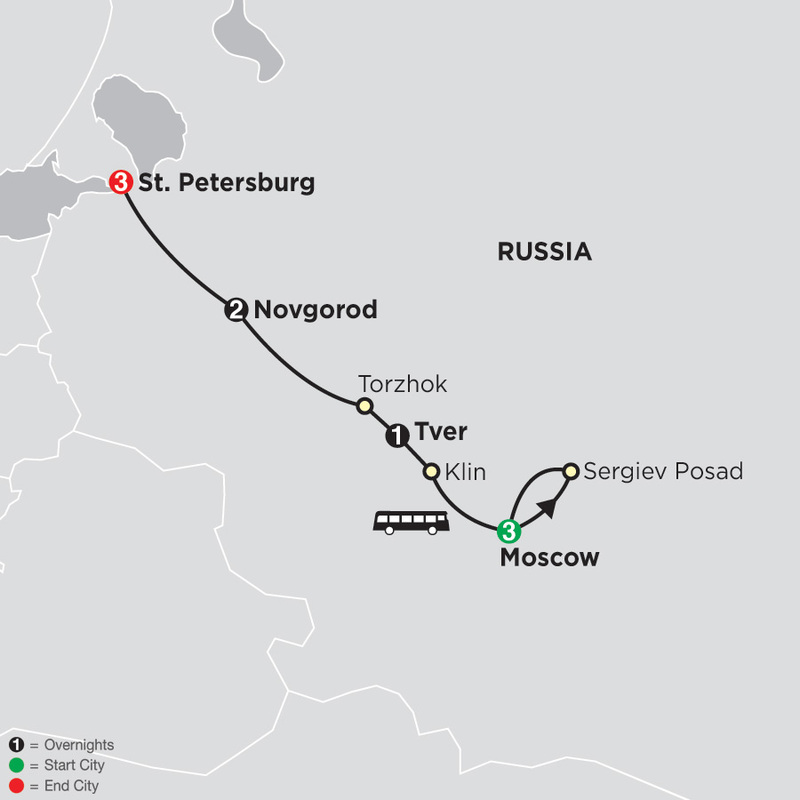 You’ll spend 10 unforgettable days – from Moscow to St. Petersburg – on your affordable tour of Russia. Begin sightseeing in the capital city of Moscow with the iconic Kremlin complex, Red Square, and the Vladimir Lenin Mausoleum. You’ll also see the 14th-century Troitse-Sergiev ...Read More. Vibrant cities, distinct cultures, and unspoiled landscapes … welcome to your Scandinavia affordable tour! You’ll visit the fascinating Nordic cities and most scenic areas as well as some of its smaller and quaint towns. 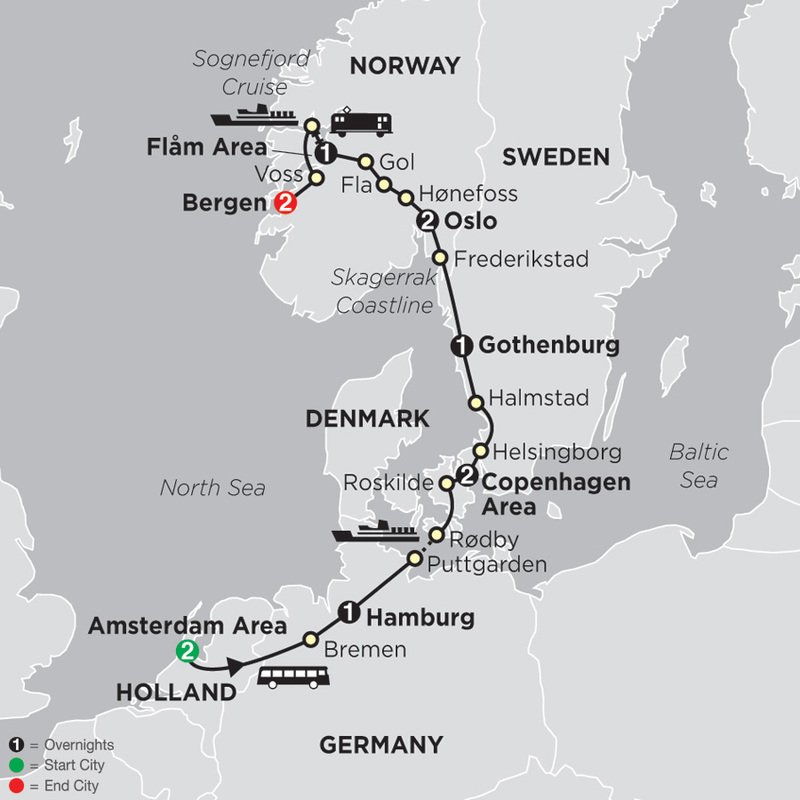 Overnight in Copenhagen, Frederikshavn, Oslo, the Telemark ...Read More. Your budget travel adventure to Iceland is an amazing 8-day journey that begins and ends in the capital city of Reykjavik. 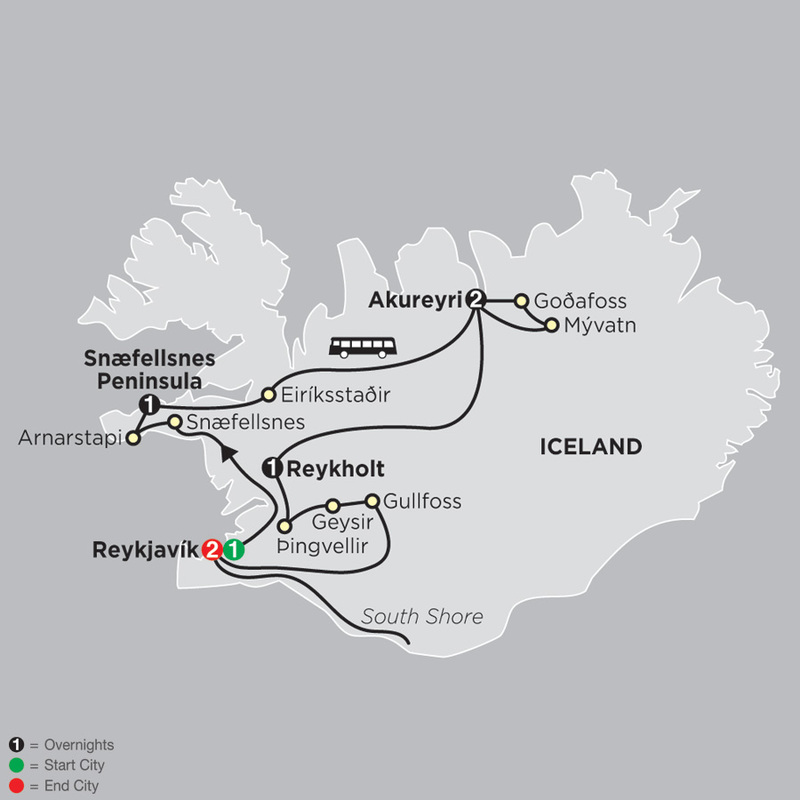 You’ll discover that Iceland is one of the most fascinating countries in Europe as you experience its unique, almost lunar landscapes, as well as the simple ...Read More. 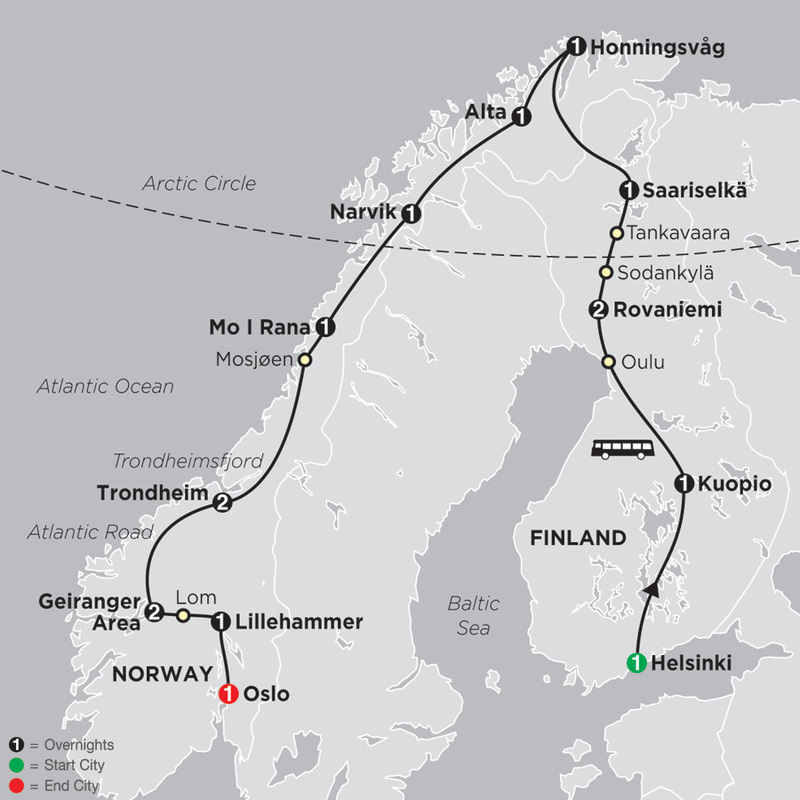 Discover the northern tip of Europe on this Scandinavia tour through Finland and Norway. You’ll be mesmerized by pristine nature, never-ending forests, spectacular waterfalls, and enchanting fjords. You’ll travel across the Arctic Circle —the land of reindeer and the "Midnight ...Read More.